Hello there, ladies and gents! Hello hello! The name's JaegerWolf, and I am completely new here. I have recently become aware of this place through a good friend of mine and I've become very interested in seeing what all the insanity is all about! Welcome to Galactic Conquest Jaeger, it's great to have you, and I hope you'll have a great time here! And Jaeger wolf, best name since Wolfgang, ALL THE NAME MEANINGS. Crazy introduction by me anyways, welcome to GC, I'm Lmpwrkr you're daily dude who sometimes disappears for lengthy amounts of time for no reason. As you can tell from my icon, I'm not really the most productive member (especially on the main thread) but I can promise you I'm friendly! I don't bite! Unless if I am raptor. In which case, I will bite, a lot. 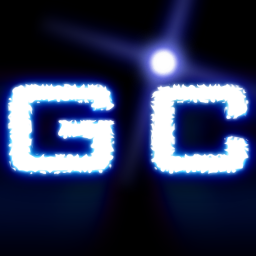 Welcome to GCF, I've been busy for the last few days so I couldn't say anything earlier. What friend did you hear about us from, if you mind telling? Me, he heard of us from me. So fear not, he's MOSTLY harmless, Mostly. Unless you are not me to which he might be VERY harmful, I'm not sure there's no test cases yet regarding this issue. Also, Hello my dear friend, Don't mind the mess.